Over Christmas I went to Amsterdam to spend time with my Dutch family, and my parents who I hadn’t seen in almost two years as they live in New Zealand. While I was there I visited the Fashion for Good Museum, the world’s first interactive museum for sustainable fashion innovation. There are three levels - representing the past, present and future of fashion. You can learn how your clothes were made and what changes you can make for a better future in fashion. Throughout the experience, using an ‘action bracelet,’ you can digitally interact with the space and commit to actions by scanning your bracelet at different stations in the museum. At the end you can log your commitments with your bracelet and have your own personalised Good Fashion Action Plan sent to your email - along with a photo of yourself! The fact that this museum is interactive is really great as it gets consumers involved. Informing someone is one thing but getting a consumer to truly ‘commit’ to a personal journey that has a good impact on fashion is exactly what the industry needs because change starts with the individual. I highly recommend taking time to visit the Fashion for Good Museum if you are in Amsterdam. 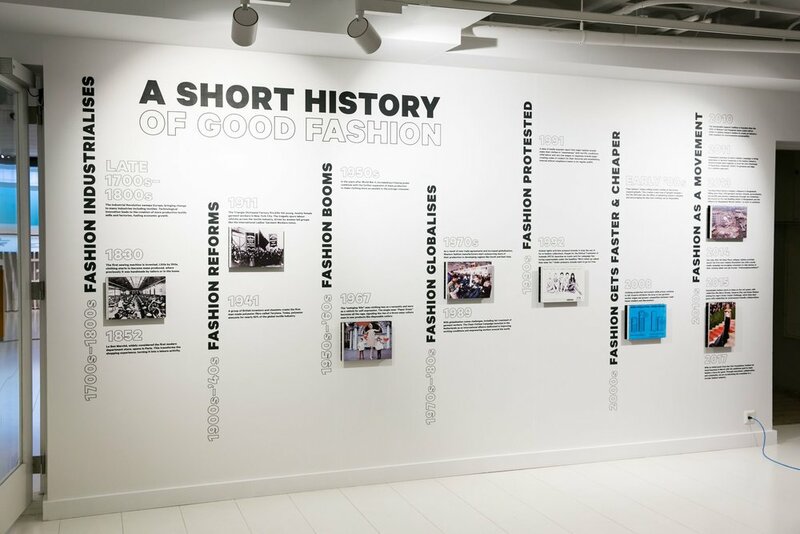 Whether you are already committed to a sustainable and ethical lifestyle, are just starting your journey or are a total newbie, this museum will educate you and hopefully inspire you to help change Fashion for Good. Entry is free and the museum is located in the heart of Amsterdam Central.